Marinol (dronabinol) is a man-made form of cannabis (marijuana is an herbal form of cannabis). Dronabinol causes many effects on your central nervous system. Marinol is used to treat loss of appetite in people with AIDS. It is also used to treat severe nausea and vomiting that is caused by cancer chemotherapy. 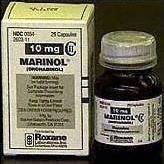 Marinol is for use only when other medications have been unable to control the nausea and vomiting. 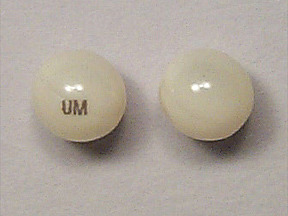 MARINOL® is a unique prescription medicine that relieves multiple symptoms. The United States Food and Drug Administration (FDA) approved MARINOL® to treat nausea and vomiting associated with cancer chemotherapy in patients who have failed to respond adequately to conventional treatments. This medication is used to treat nausea and vomiting caused by cancer chemotherapy. It is used when other drugs to control nausea and vomiting have not been successful. Dronabinol is also used to treat loss of appetite and weight loss in patients infected with HIV (the virus that causes AIDS). Dronabinol (also called THC) is a man-made form of the active natural substance in marijuana.